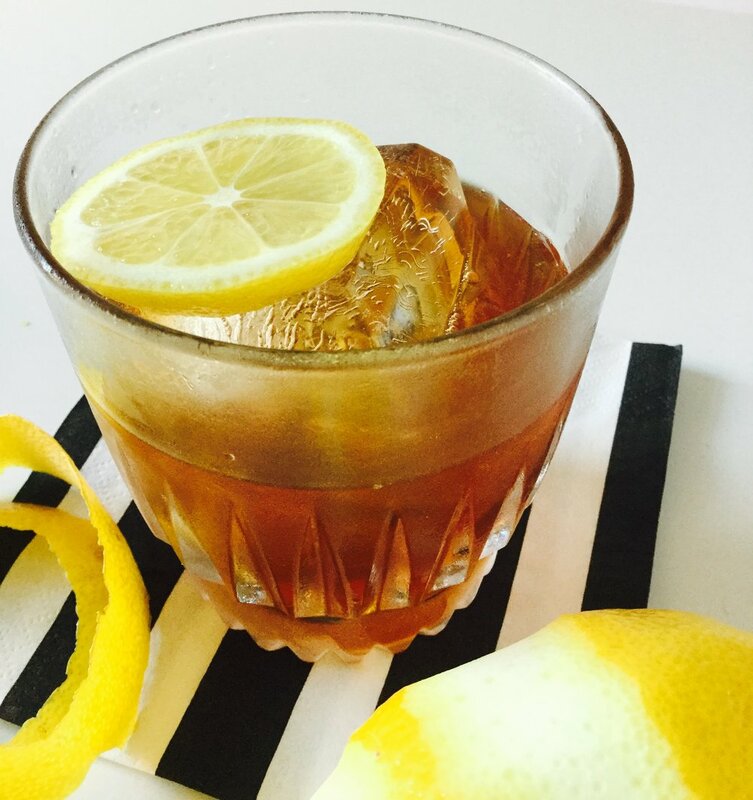 Cold months call for whiskey and with just a sip you can feel warm from the inside out! Can you imagine what it would be like in the Alps in the winter! Brrr! 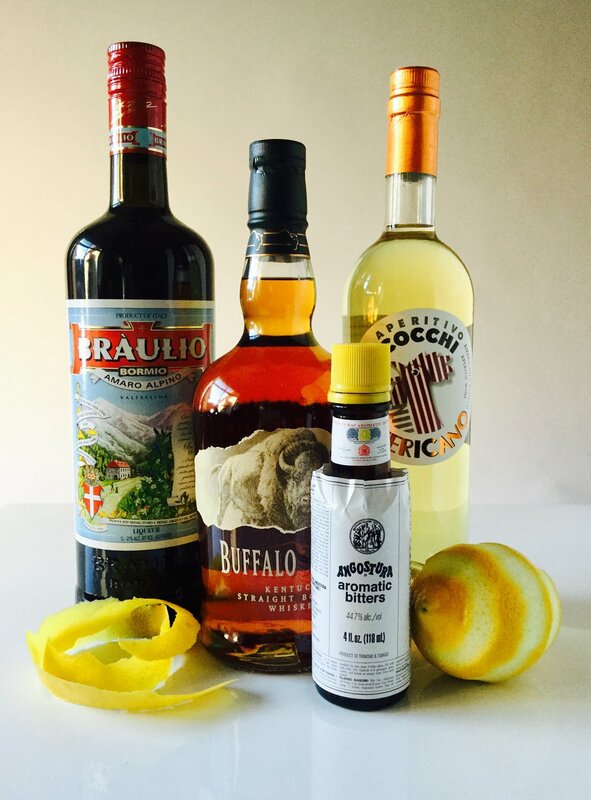 I was inspired to make this cocktail "American in Bormio" from one of my all time favorite Amari -Braulio! It is an Alpine Amaro from the quaint ski town named Bormio near the Alps. I like to make a story when creating a cocktail and I pictured what would an American like me traveling to Bormio want to drink!? I think something boozy, bitter, herbaceous made with a good ole American Bourbon whiskey! Recently, I got the chance to sit down and chat with the amazing Alton Brown about myself and all things Amari on his podcast! We actually sipped on this cocktail as we chatted, so listen for the shoutout! Here is the link to the podcast below! Cin Cin! Take all ingredients and pour into a chilled mixing glass, add ice and stir for 10-15 seconds mixing all ingredients together. Next, take your julep strainer and pour out the cocktail over fresh ice into a chilled single old fashioned glass. Take a lemon and peel off a piece and express the lemon peel over the cocktail and then rim the glass with the peel. Rubbing the lemon essence on the rim of the cocktail generously, then discard. Lastly garnish with a lemon wheel, serve and enjoy! Cocchi Americano: A fortified wine produced by Giulio Cocchi Spumanti who began making his wonderful products back in 1891. Made in the Asti province, near the Piedmont region in Northern Italy. Great for cocktails and meant to be an aperitivo with bitter notes of chinchona bark, gentian, citrus, and subtle notes of apricot, quince and oregano. Braulio Amaro Alpino: An Alpine Amaro originating in 1875 and is produced in the town of Bormio located near The Swiss Alps. One of my all time favorites! Aged in sessile oak barrels for two years with notes of spearmint, gentian, yarrow, wormwood, juniper, sandalwood and chamomile.